Oooooh man! The universe is testing my dedication to this cookie challenge. First it was the peanut butter cups yesterday that turned out not to be vegan and now it’s the disappearance of my memory card reader. Well you know what Universe? Challenge accepted! This whole post will be done on my phone. So take that! Today’s recipe is my vegan take on a Nutella Chocolate Chip Cookie. I thought peanut butter cookies were good but ‘Nutella’ cookies may have trumped them. *For those of you new to vegan baking, you can find Ener-G egg here or I have found it at Whole Foods and Stop and Shop. It’s becoming pretty common. Don’t be put off by the price. It will last you forever! I bake a lot and have had mine for over a year. Earth Balance butter can also be found at most grocery store chains now. ** For non-vegans, you can substitute real butter, eggs and chocolate chips in place vegan version at a 1:1 ratio across the board. Whisk together flour, cornstarch, baking soda and salt together in a medium bowl and set aside. 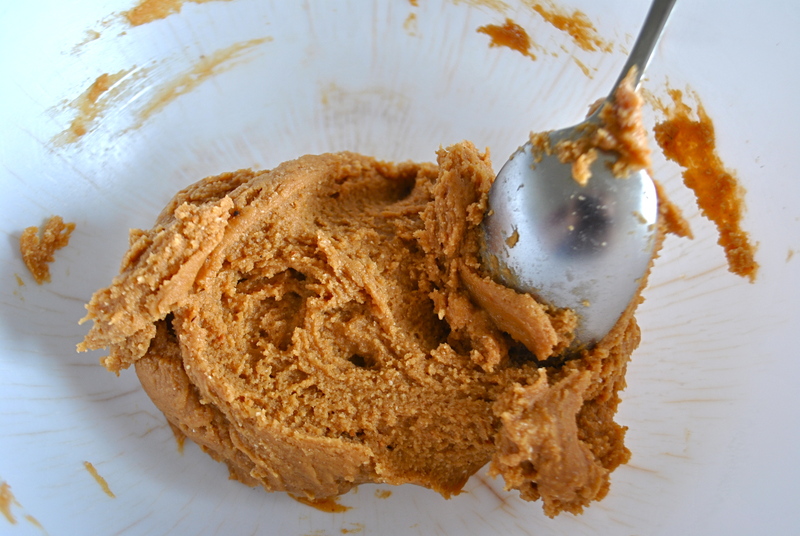 Beat together butter, Justin’s Chocolate Hazelnut spread, sugars, egg, and vanilla on medium-high speed in the bowl of a stand mixer fitted with the paddle attachment until well combined, about 4 minutes, scrapping down the sides of necessary. Reduce the mixer speed to low and slowly add the flour mixture until well combined, scraping down the sides if necessary. Cover well with plastic wrap and refrigerate at least 2 hours or overnight. Preheat oven to 350° . Roll into 1 inch balls and place dough 1 inch apart on a parchment line baking sheet. Bake 9-11 minutes or until the edges are set and the tops have just started to brown. Let cool 5 minutes on the cookie sheet before removing to a wire rack to cool. I was a little worried about this recipe and that the Justin’s would produce a drier cookie then those made with Nutella. I did not have any problem at all, though. These cookies are moist and fluffy with just a hint of hazelnut. Definitely a nice change from a traditional chocolate cookies. Today I learned a very important lesson about veganism that I should have learned long ago- Read food labels closely. In an attempt to make this cookie challenge fun, I wanted to try lots of new recipes with new ingredients. 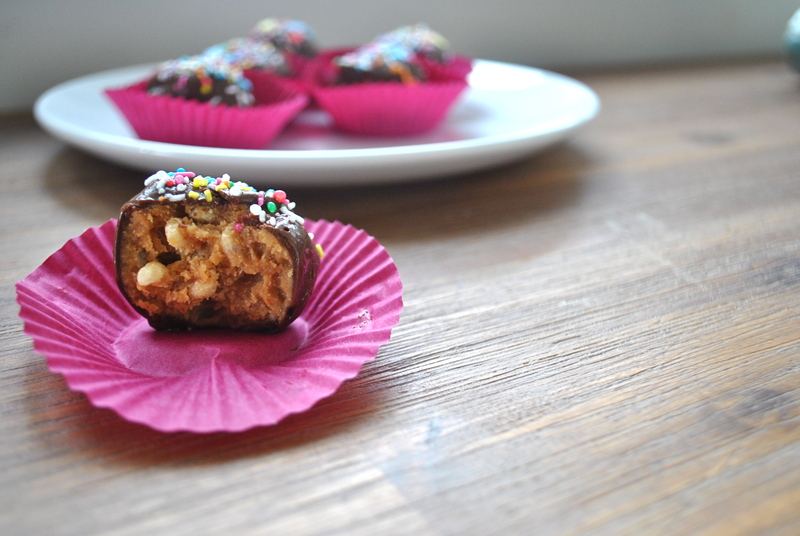 I had had my mind set on using these mini peanut butter cups that Justin’s recently released. I had tried them as a free sample at Whole Foods one day (after I checked with those handing them out that they were vegan). So, when I made my list of cookies I wanted to make, peanut butter cookies stuffed with peanut butter cups were high on my list. I decided to give a peanut butter cookies recipe a whirl this afternoon. As the dough was chilling and I was unwrapping a million Justin’s mini peanut butter cups, I happened to glance at the ingredients list and smiled. No dairy listed. Oh wait, what is that note at the bottom? “Contains: peanuts, soy and milk”? Well, crap. And that wasn’t even the first time I did that during this challenge. I had found a recipe for chocolate peppermint cookies that sounded delicious but it had chocolate pudding in it. I had my heart set on a chocolate peppermint recipe so I started poking around to find a dry vegan chocolate pudding mix. Come to find out, Jello Chocolate pudding is in fact vegan, if I just took the time to read the ingredients. I know right?! No dairy or gelatin! Much like Oreos, which are always accidentally vegan, it’s mostly just chemicals and sugar. Not exactly something you want to eat on the regular but makes for a great once-a-year holiday cookie. Beat in dry instant pudding mix. Add Ener-G eggs and vanilla and beat until well incorporated. Add baking soda and flour and beat until well incorporated. 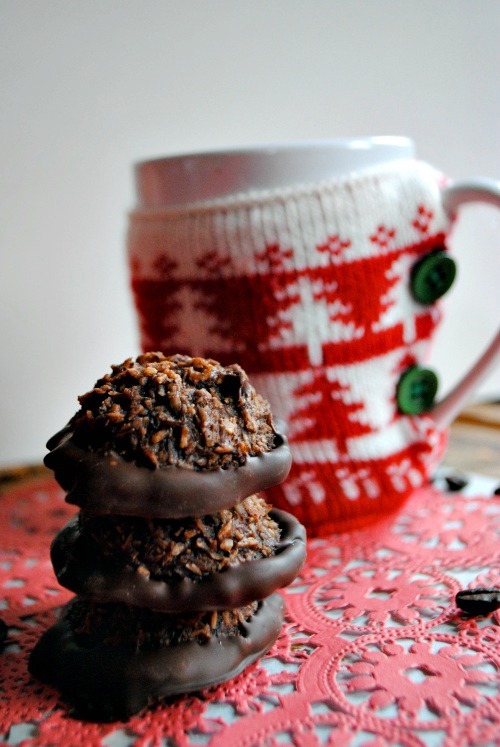 Stir in Peppermint Crunch and semi-sweet chocolate chunks. 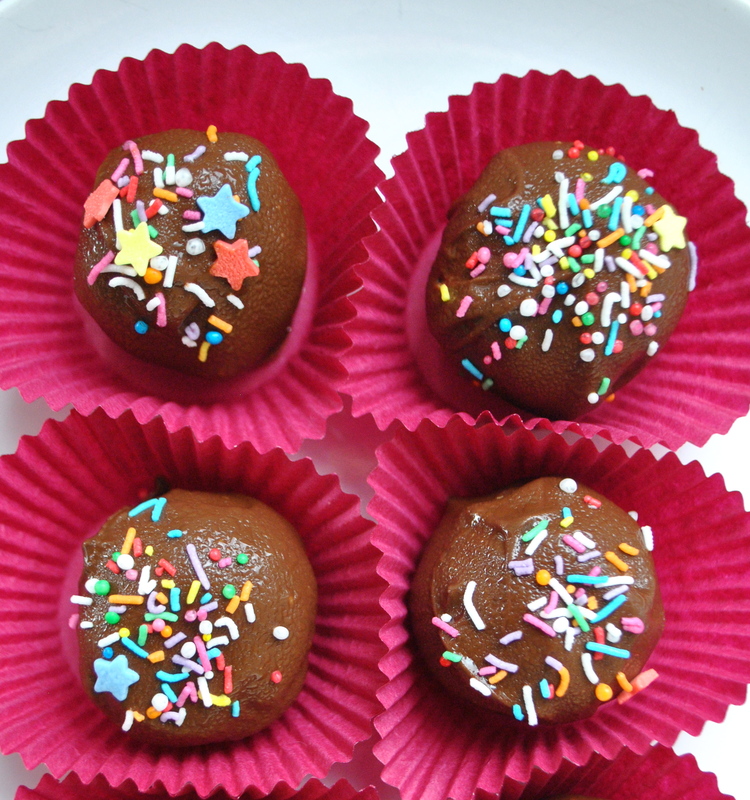 Roll into 1″ balls and place on a greased baking sheet. Bake at 350 degrees F for 8-10 minutes. The cookies will firm up when they cool so don’t over cook them. Cook until the centers are set. Chocolate and peppermint aren’t my normal go-to but it’s just so perfect during the holidays. These cookies are fudgy with just the right amount of peppermint. 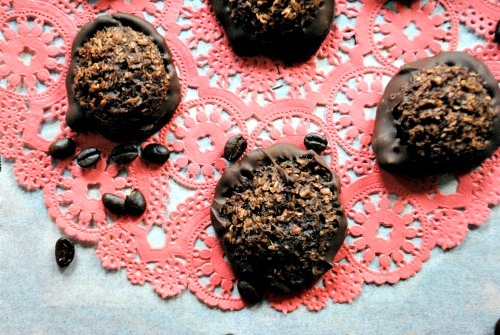 They would be perfect with hot chocolate, coffee or for Santa on Christmas morning! Today, I flipped my countdown calendar and there was 7 days until Christmas. 7 DAYS!! I panicked. Then I doubly panicked when two of the gifts I ordered were cancelled or suddenly backordered. What is happening with the world when people are cancelling Christmas orders a week before Christmas?! It just really hasn’t been a good day for Christmas cheer. On the plus side, I got some excellent Christmas movie suggestions from a bunch of you. I’ve never even heard of some of these! I started with Love Actually last night but promise I will attempt to see them all before Christmas. I love the challenge of working through a list! 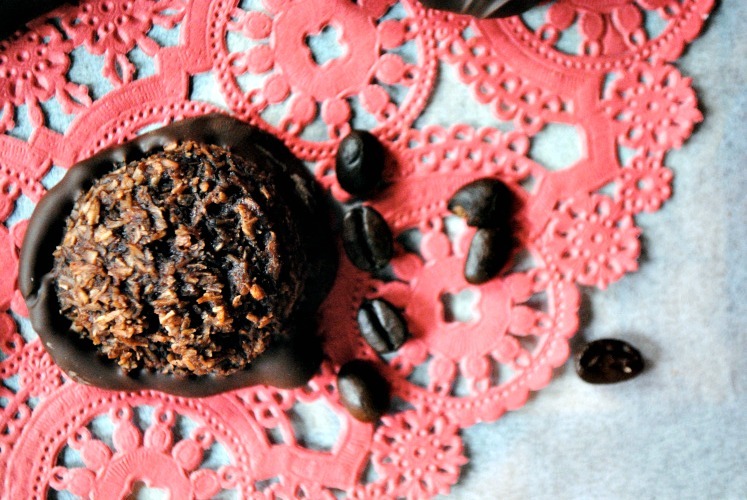 Today’s cookie combines my two favorite things- Coffee and Chocolate. God knows I will need coffee in whatever form I can get it in if I’m going to get everything done before Christmas. If it happens it come with a side of chocolate, even better!! 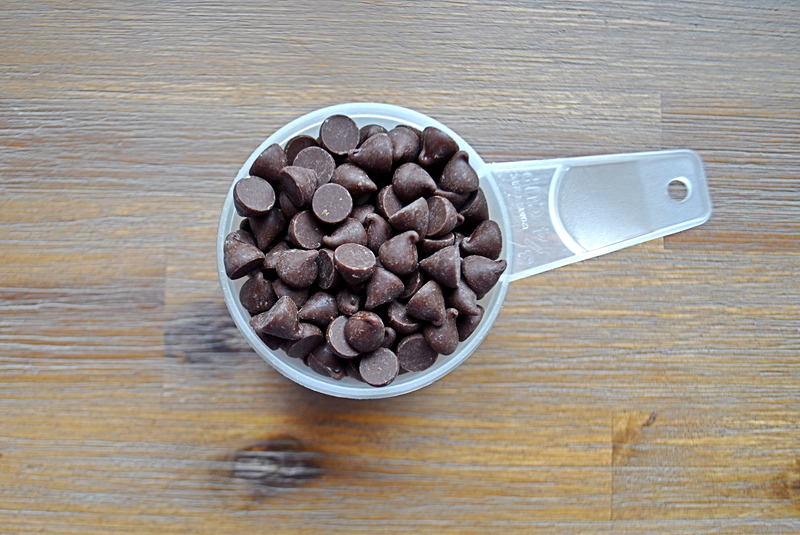 Combine all ingredients except chocolate chips in a tall dish. If using a microwave, heat two minutes. Stir, then microwave one more minute or until firm enough to scoop out into ball shapes. (Or cook on the stovetop until it’s firm enough to scoop out.) 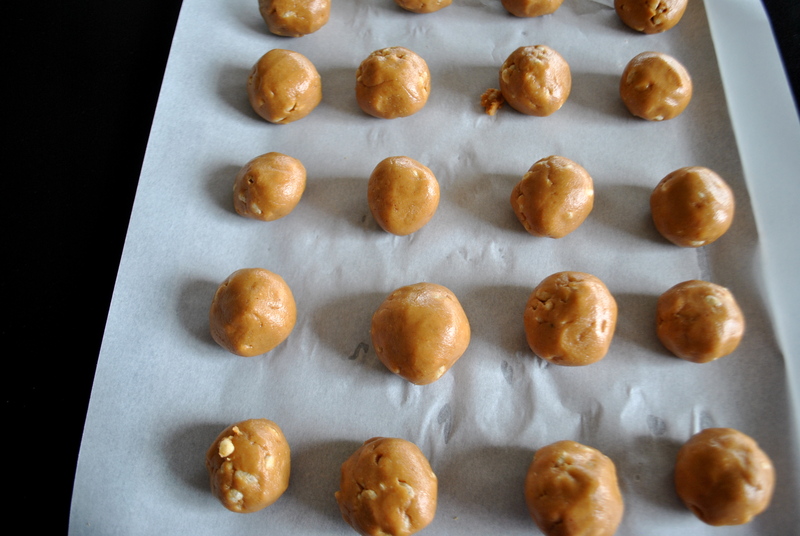 Scoop into balls on a cookie tray—I used a cookie scoop. Cook at 360 F for 14-16 minutes. Let cool before removing from tray. Line a plate with wax paper. Dip each cookie in melted chocolate, place on the wax paper, and let set (you can refrigerate or freeze them if you need them to set faster) Makes 12-22 cookies, depending on the size cookie scoop you use. I’m a fan of these. 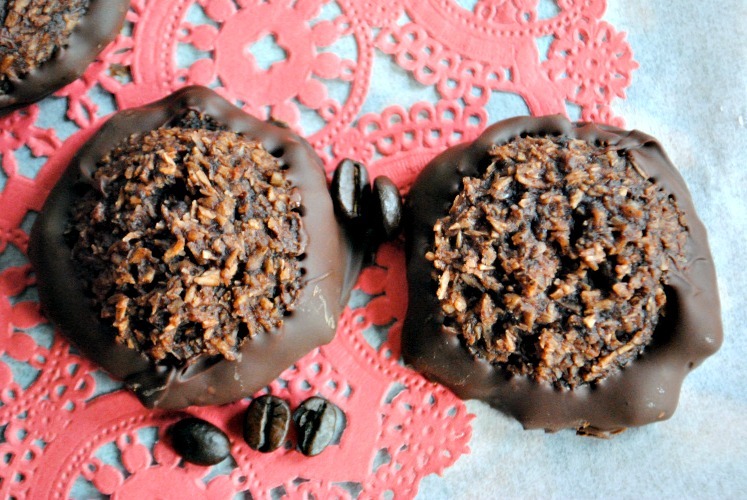 I love coconut macaroons, I love chocolate/coffee and I love how easy they come together. Just dump everything in a bowl and bake. If you are looking for something more festive for a holiday party, you could add seasonal sprinkles before the chocolate dries. As I am normally not a Christmas girl, I have amount a million halloween sprinkles and zero Christmas ones. But definitely go crazy with the Christmas cheer! Now if you’ll excuse me, I have some serious Christmas movie watching to do! Option 2 for filtering out your grinds: Single-serving coffee cone and filter over your storage container. My preferred option. Add your desired amount of water. Give it a quick stir to make sure all the grinds get mixed in. Cover. Strain out coffee grinds. 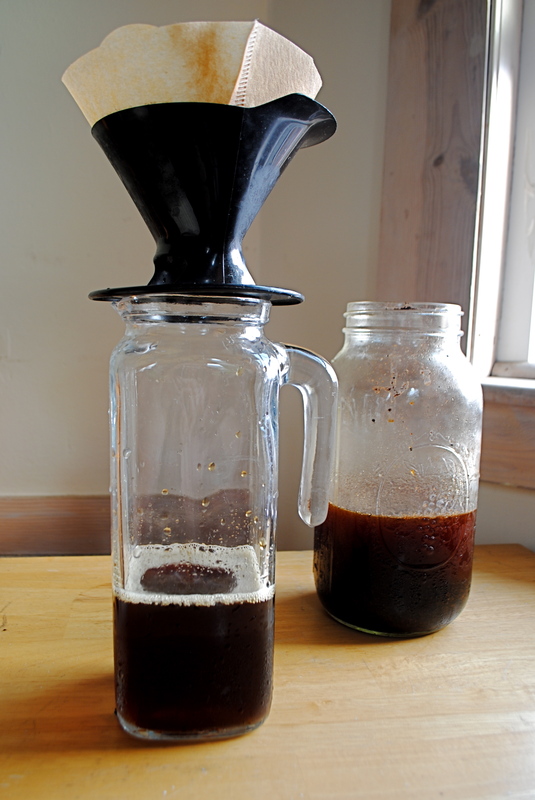 If you are using a french press, the french press does the bulk of the work for you. Depending on how fine your grinds are, though, you may still need to filter them. 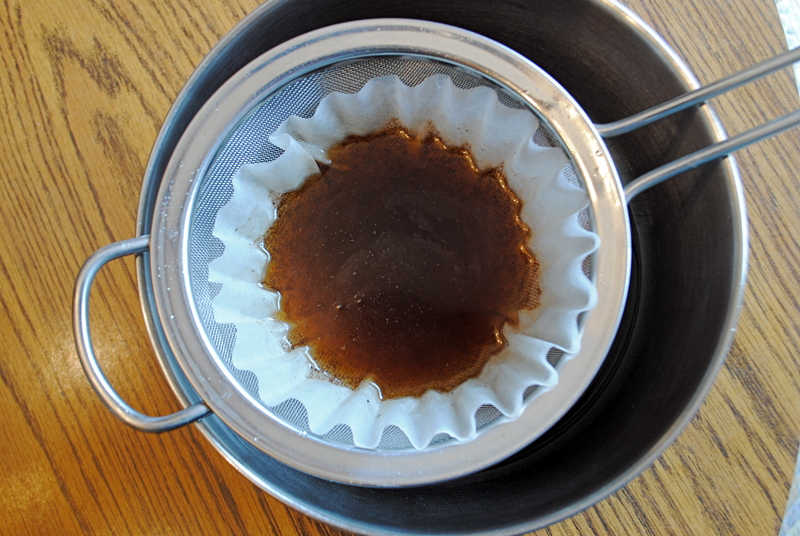 For everyone else, you can line a strainer with a coffee filter or you can use a single-serving drip coffee cone, which is what I use. So cheap and so effective. I’ve also done the mesh strainer/coffee filter combo over a bowl as well and both work fine. See the two photos above for these two options. Serve over ice or heat up. Either way, Enjoy! Bring the water to a boil and add the sugar. Stir until the sugar dissolves, which should be about a minute. Stir in cocoa and salt. Reduce heat so the mixture is simmering. Continue to let it simmer for 3 minutes, stirring constantly. Let cool. It will thicken as it cools. 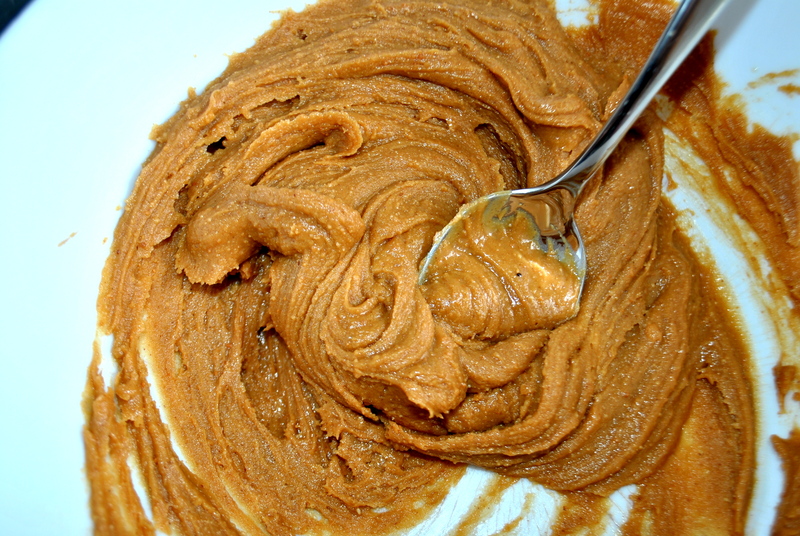 Turn the head down to low and whisk in cinnamon, ginger, cloves, nutmeg, and pumpkin puree. Simmer for 8 minutes, stirring occasionally. Do not allow the mixture to come to a boil. Remove from the heat and strain through a mesh strainer lined with cheese cloth or a very thin, clean tea towel. If you are too lazy/too busy for this (um, me! ), then skip this step. The spices and the pumpkin will sink to the bottom of the storage container leaving the syrup at the top to scoop out. 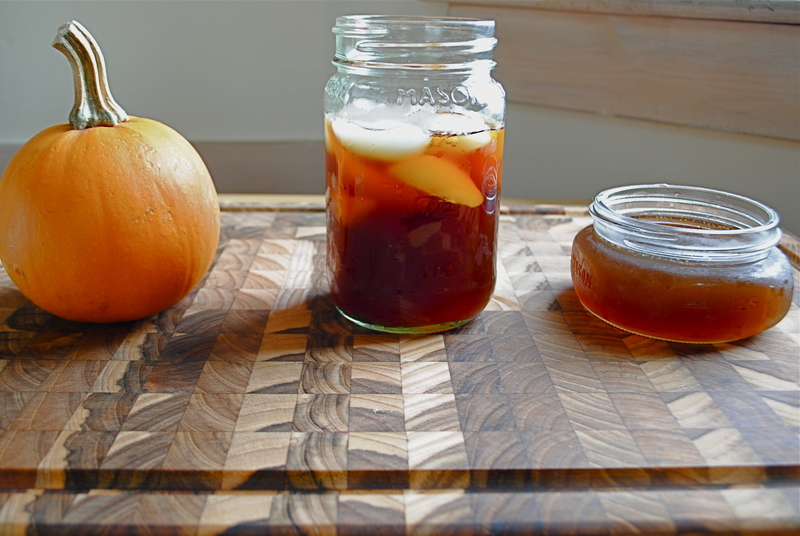 You could also give the syrup a stir before using and include the pumpkin and spices in your coffee. I actually don’t mind it like that. I think it’s more flavorful! Just make sure you don’t forget step 4 below. 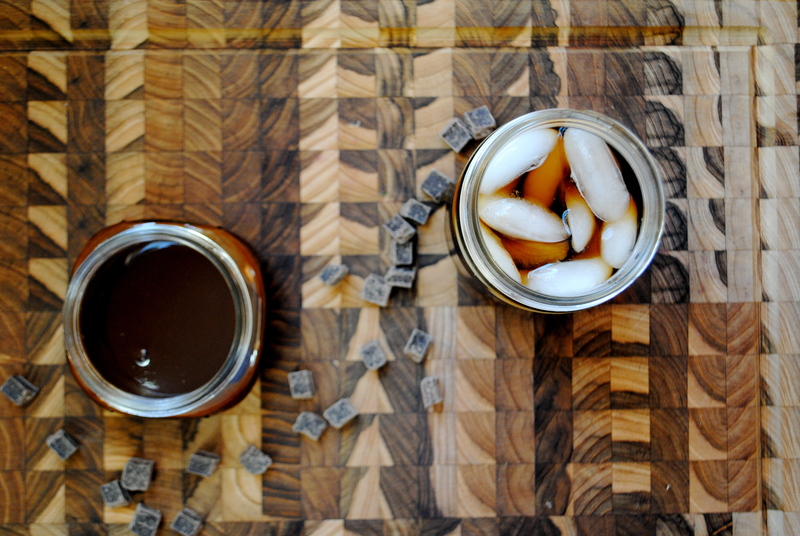 Allow the syrup to cool to room-temperature before stirring in the vanilla extract. 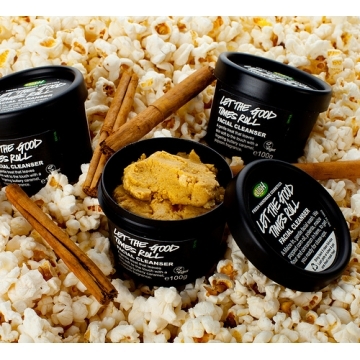 Store in a mason jar or airtight container. 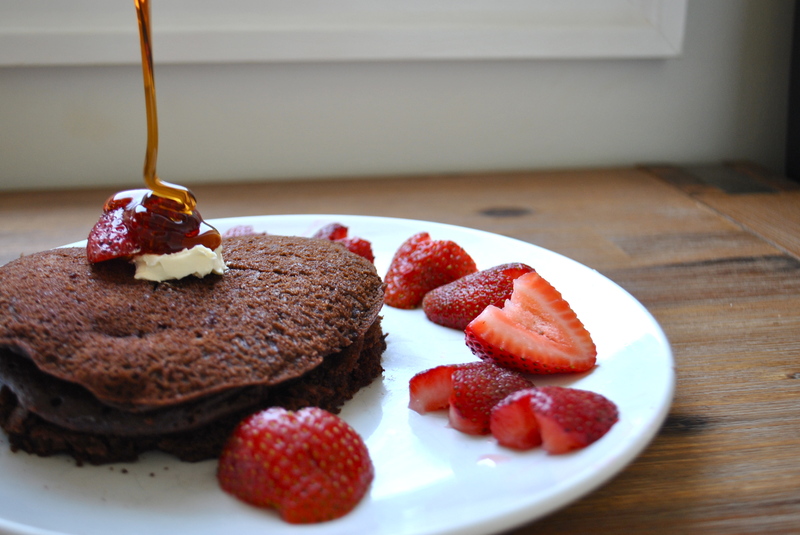 The syrup with last for 1 month at room temperature or 3 months in the refrigerate. So there are 3 recipes for you! Does that make up for the fact that I have been negligent for the past month? Probably not but I just gave you Pumpkin Spice Simple Syrup so that should count for something! Seriously, these recipes are so versatile! 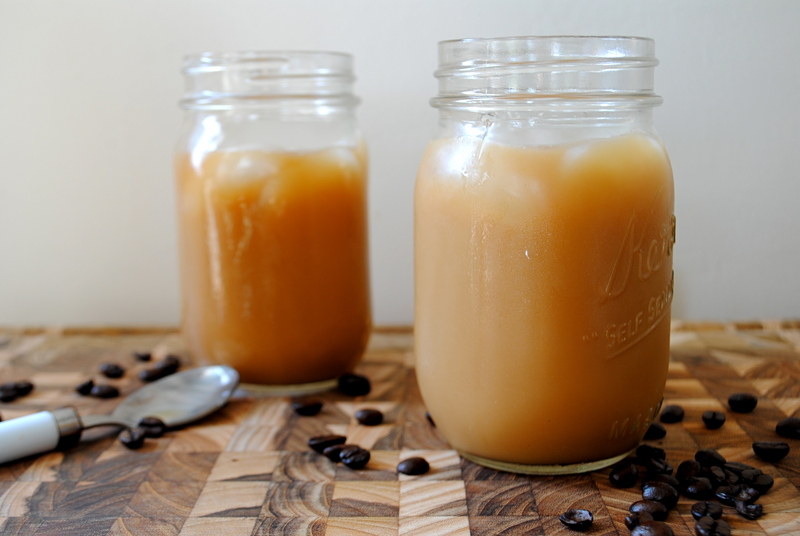 I use the chocolate syrup in hot and cold coffee (though I prefer it in hot I think), drizzled over ice cream or really, drizzled over anything! As for the Pumpkin Spice Syrup, come on! This is about 10x better then that crap you buy at Starbucks. 1. It taste better. A confession for you: I really hate Starbucks PSL. And I love Starbucks and Pumpkin. It taste so chemically to me! This stuff does not, 2. There is actual pumpkin in it! 20 bucks says the PSL does not have real pumpkin and 3. 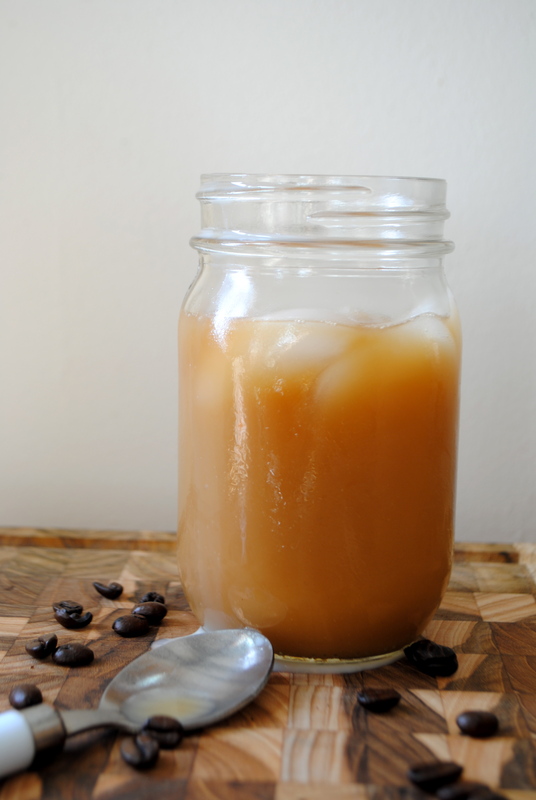 You can also use it in black tea, which is delicious, or over ice cream. Really, you can’t go wrong with either and I think you should go ahead and make these now. Also, if you could send a jar my way that would be awesome. God knows, I can’t get enough coffee lately! Oh Valentine’s Day. You are here again. For all those couples out there, you put pressure on them to buy awesome things. For all those single people, you just make them feel like crap for being single! It’s a lose, lose situation. 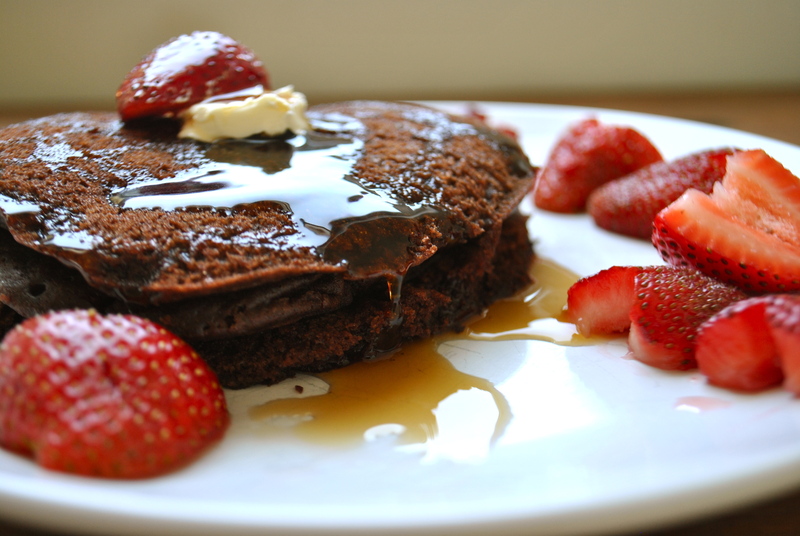 Fortunately, these pancakes are here for you. If you are looking to gain a few extra points with your significant other, you can double this recipe and serve breakfast in bed. If you are single, then these are perfect to whip up quickly and then eat while snuggled in bed with your favorite book/movie and their leading man. Mr. Darcy? Edward? Noah Calhoun? Aint nothing wrong with that! 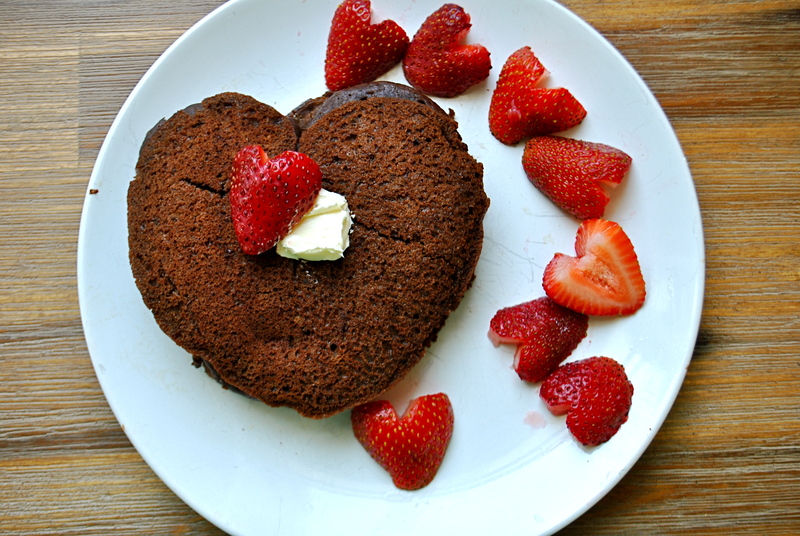 * I also made this with whole wheat flour and Stevia for a healthier option and though it was edible, I would recommend the above version instead. The whole wheat/stevia version came out kind of rubbery. Mix dry ingredients. Add wet and mix. Then make your pancakes! Speaking of Noah Calhoun, I accidentally discovered that the local cinema near here is playing the Notebook on Valentine’s Night. I quickly recruited a friend and bought those tickets ASAP! So, I’m a mere few hours away from seeing Mr. Ryan Gosling on the large screen. Happy Valentine’s Day to me!! 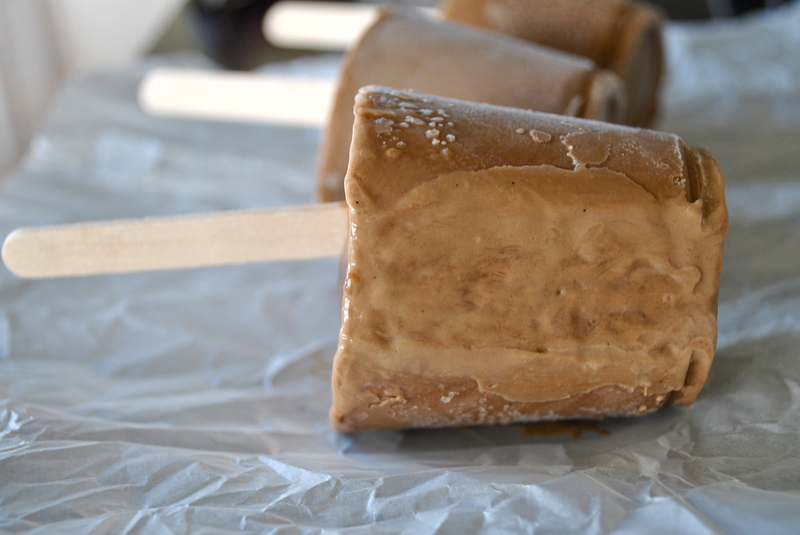 Friday Favorites and Mocha Fudgesicles. I am SO happy it is Friday! It’s week two of the new school year and waking up early again is hitting me hard. I’ve been in grumpy zombie mode all week. I’ve wanted nothing but a serious nap. I went to bed one night at 9:30 and I still can’t shake it! This weekend I will be lounging in bed late every morning and soaking up the laziness! 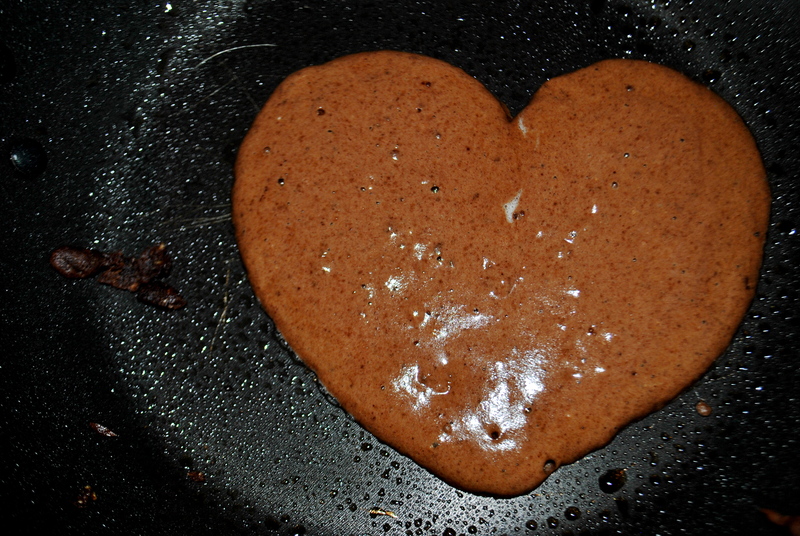 I think I may also work on some Valentine’s Recipes and check out Wolf of Wall Street. Has anyone seen it? Thoughts? 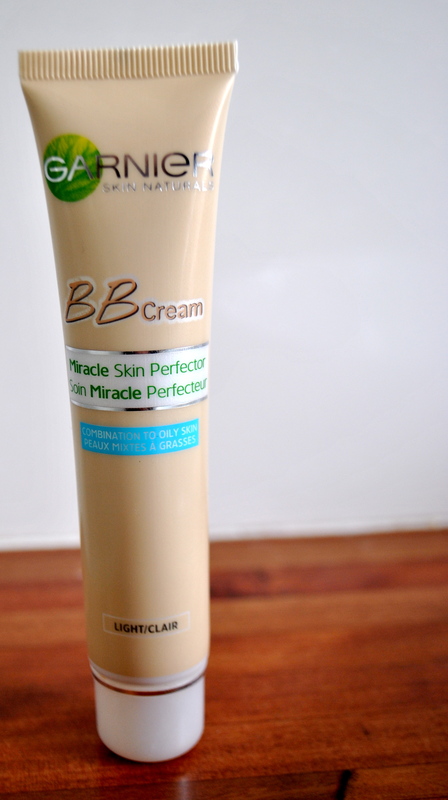 Favorite New Make-up: Garnier’s BB cream. I’m not going to get into a big make-up rant because I sound like a commercial. I will say getting up early, working with kids and living in a sunny, hot climate has resulted in me almost never wearing makeup during the day. When I do, I wanted something much lighter and gentler on my skin. This meets all those requirements. Plus, my skin actually looks better after I wear it. True story. Downside- it’s not all natural. Leave a comment below if you have a good all natural foundation you use. 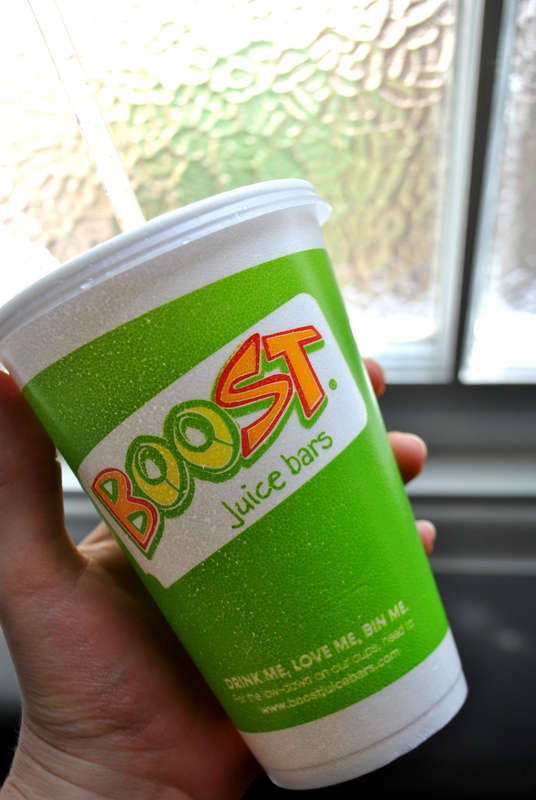 Favorite Beverage: Boost’s King William Smoothy. It’s just cold, liquid chocolate. 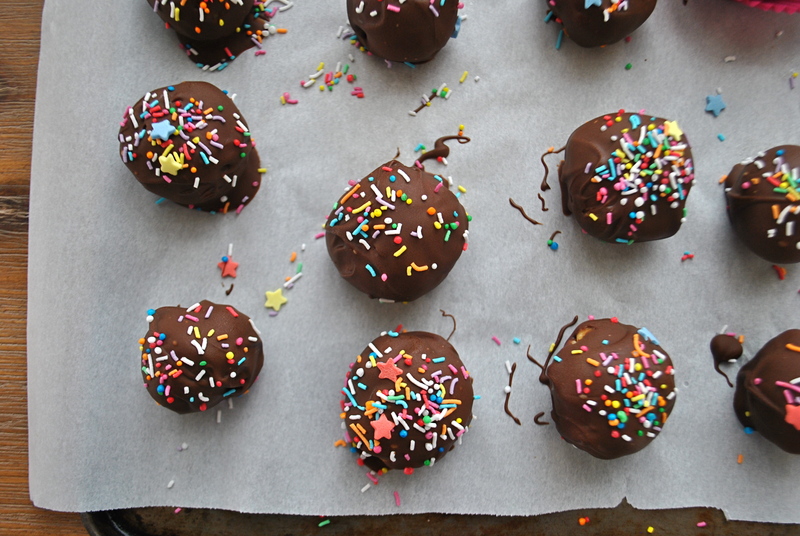 Perfect thing to kick my chocolate cravings. To make vegan, I switched the milk for soy milk and the yogurt for sorbet. In this case, I’m pretending all chocolate is vegan. I’m the worst vegan ever. Favorite Treat: Popsicles. When I can’t afford the above smoothie, I reach for these. It’s been hot here and I’ve been on a cold treat kick. 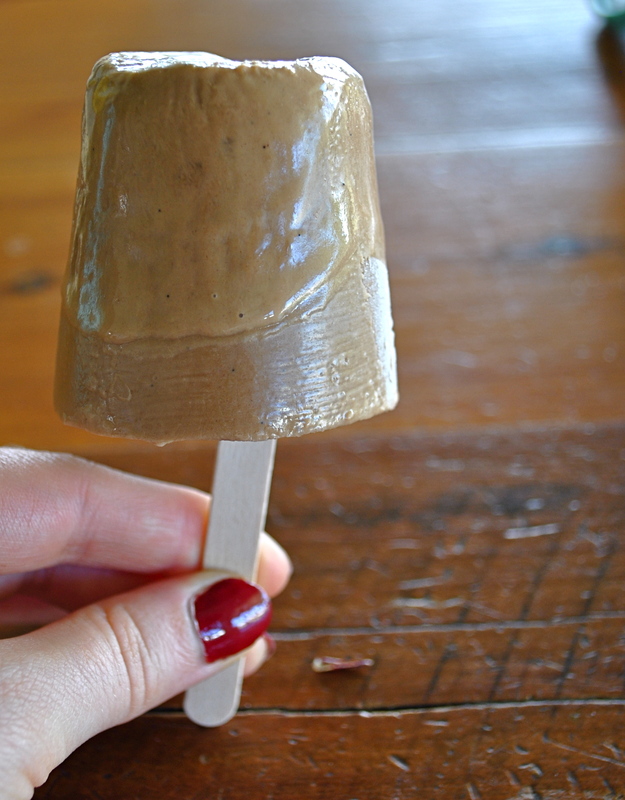 I made these fudgesicles a few weeks ago and had to force myself to keep them to a snack. A hot meal for lunch and dinner? Nah, bring on the frozen chocolate! 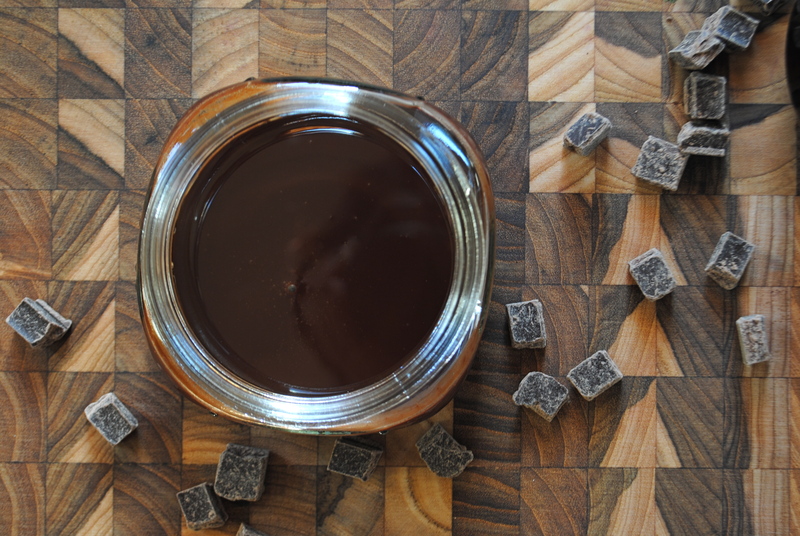 Place the coconut milk, chocolate, and espresso in a saucepan and heat until chocolate is mostly melted. Set aside for 5 minutes for the coffee to steep. Stir in salt, vanilla, and sugar. Taste and add more sugar to taste. Pour into popsicle mold and freeze for a few hours or over night. 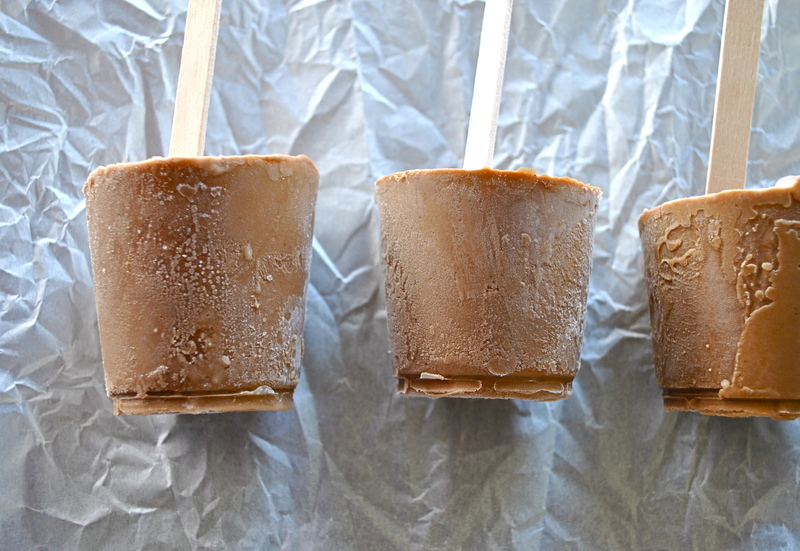 If you do not have popsicle molds (like myself), pour into small paper or plastic cups, cover with tin foil and poke your popsicle stick through the tin foil. Freeze for a few hours or over night. When ready to eat, run the mold under warm water. If you pull a stick out sans pop just run it under water and place back in the popsicle to freeze. These were so creamy and delicious. I definitely hoarded them from the children because I didn’t want to share. I mean… because they don’t need the caffeine. yeah…we’ll go with that. Now, what are your weekend plans?